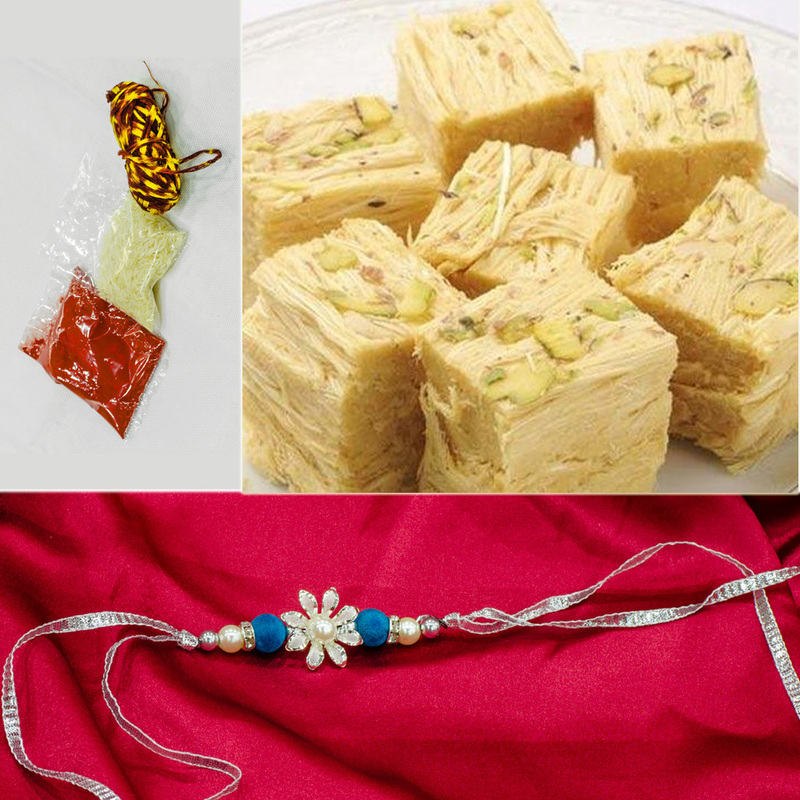 The Designer Floral Rakhi is bound to be a lot more than a simple thread to tie around one’s wrist, and it signifies the strength Read More..of love and care between brothers and sisters. 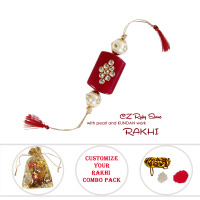 The floral design on the Rakhi makes it lively for such as fun and auspicious occasion. The inclusion of the choicest quality of 500 gm of Soan Papdi from Kanha Sweets is bound to please the sweet tooth present in every brother and sister. 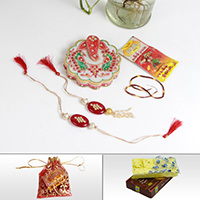 Moreover, the Designer Floral Rakhi package takes care of every aspect of the rituals followed on this special day. 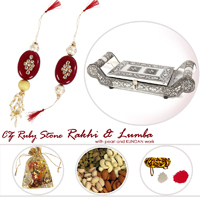 Therefore, Roli Moli and Chawal are present as well to make it the best choice for Raksha Bandhan. Show Less..